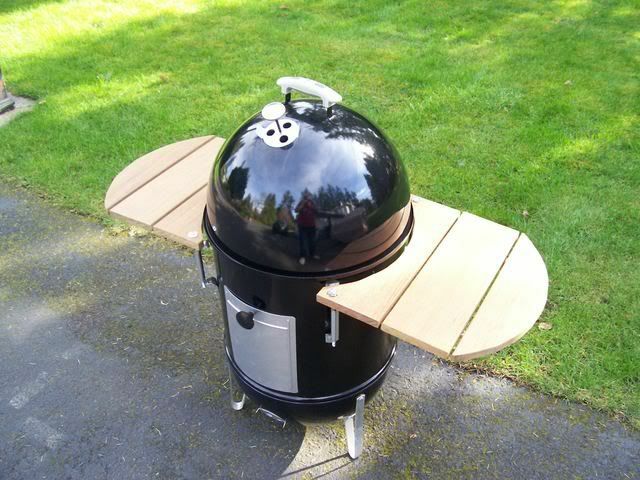 When I added the Universal garage door handles to the sides of my WSM I got to thinking of a side table for it. I had seen the table mod on TVWB site and designed this setup. 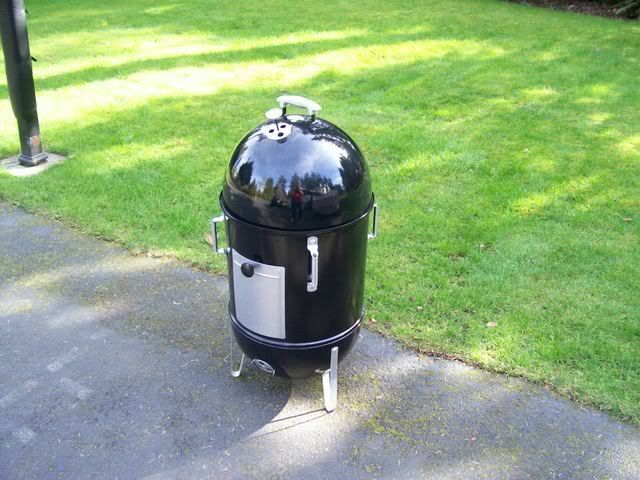 I used threaded rod (all-thread) T-nuts and attatched the wood to an aluminum frame and they slide into the handles in the center section of the WSM. I used scrap pieces of Ipe (Ironwood) decking. I wouldn't advise putting anything heavy on them, remote probe, tongs, spray bottle. gloves etc. Those tables look great, Brian! 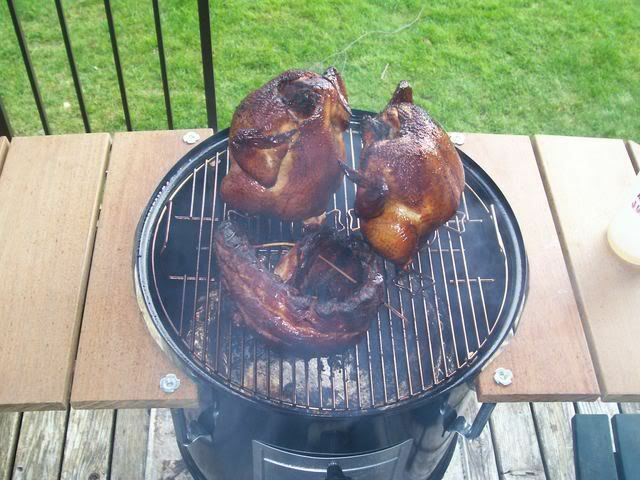 That single WSM looks like it sprouted wings and is ready to take off. And the birds look like they're posing for the camera. Did you put any treatment on the ironwood, or is it natural? Balance issues? They appear to hang out there pretty good. You are right, nothing heavy on them. 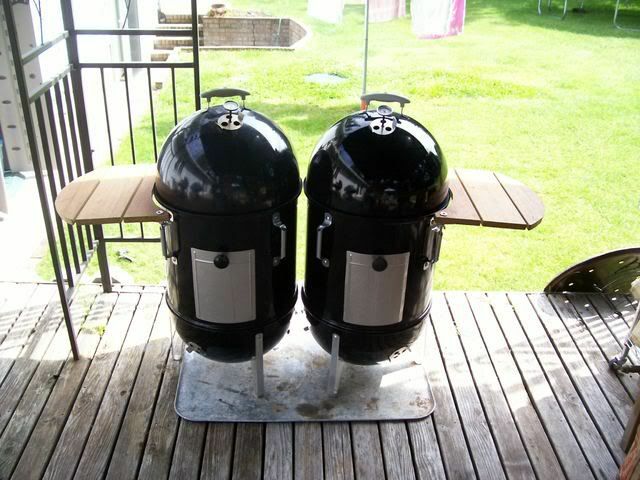 Wouldn't want the smoker to tip over and cause major excitement. Otherwise, I'd say they are real handy. You always need a place for thermometer remote transmitters and such. 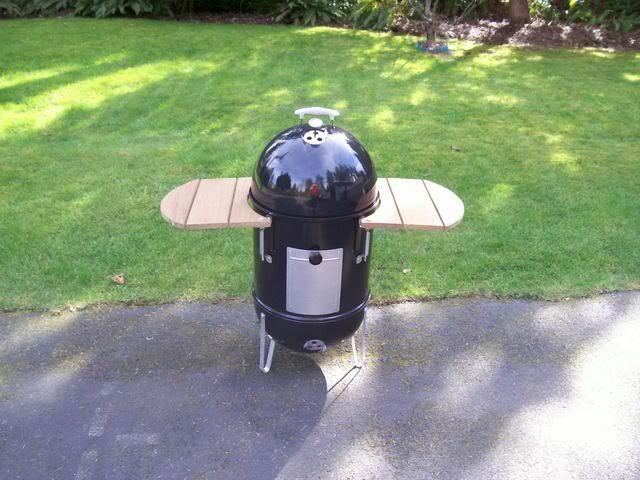 And the handles are a real nice touch. Y'know, if you *needed* to put something heavy on those tables, or you wanted a bigger table, I bet you could run a brace from the far end down to the ground. Just use more T-nuts and threaded rod and you're set. You could even break it down for storage. 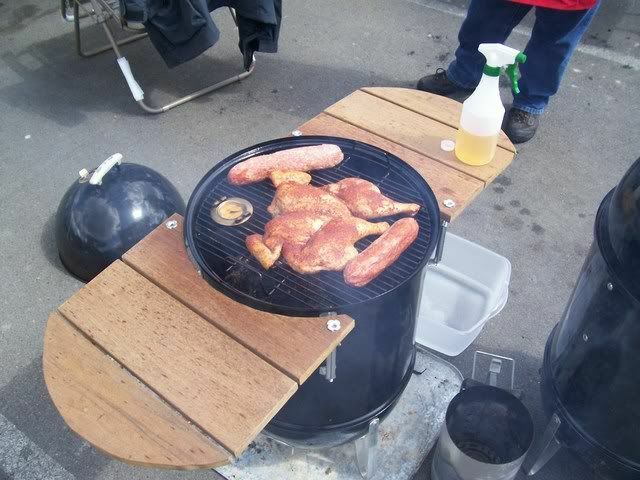 Now I need a WSM, so I can build a table, so I can test this idea. It's always something! Yep. I'd say it would be an easy mod to add supports for the side tables. Good idea! 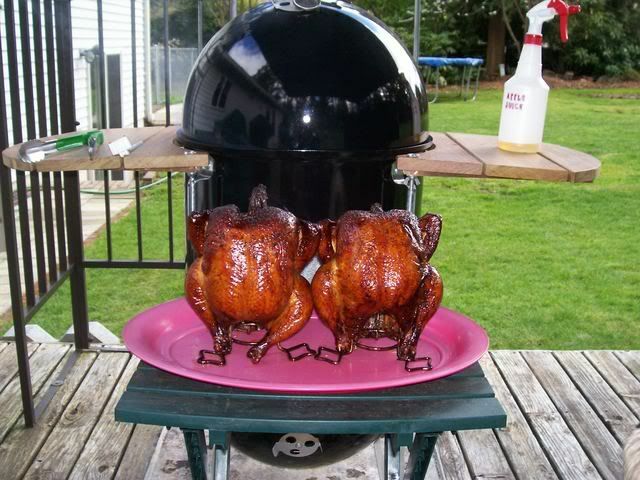 Love the color on those birds! Where have have you been?